This really felt like a tedious filler episode with a hefty sprinkling of Lucifer not being as cool as he thinks, which I just found gratuitous without his tortured self-reflection accompanying it. Outside of the stuff with LInda and Amenadiel (and the Monopoly game) the rest was absolutely a return to the worst parts of the first season. 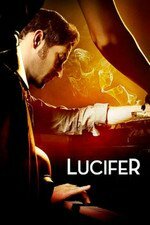 By now Lucifer should have a bit more self awareness and a lot more concept of how L.A. works, including people pretending to be what they're not. That entire bit with Chloe being so terrible at undercover work has been proven in past episodes to be totally not true. As for that stupid, stalkery plot with Charlotte and Ella, that was just ridiculous. If they wanted to keep Charlotte as a character that much, they should have just jumped ahead to her working for the D.A. 's office.